It’s often very hectic to copy the entire DVD of windows 7 as ISO and buying a new DVD and then write the DVD to make the copy of Windows 7 bootable disk. Especially when one of your DVD is about to get scratch and again and again you are doing the same. Now a day everyone of us must having the USB flash drive of generally 2,4,8,16 GB. So here you can learn how to boot your computer from USB flash drive of minimum 4 GB. Don’t worry i am not going to give you download link of any application that may or may not work with all type of ISO, as i also faced such problem. You can make the windows 7 bootable from just few commands in the command prompt only. All you need is the ISO or all the files or copy of DVD of windows 7 and Administrator right in your system. Insert your Pen drive and press the start button. Type cmd and right click on it and start this with administrator right. // List disk command will generate the list of Disk connected to your computer like Hard disk and USB disk. This will be like in figure. After this your USB drive is ready to boot any computer just another step requires. After this, copy all the content of DVD or Windows 7 ISO extract to USB drive. And Hit the final Enter and you are ready. 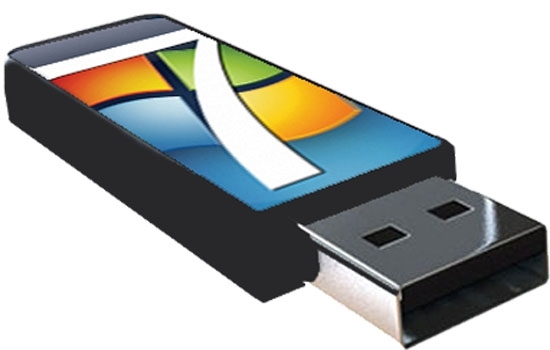 You can do all the same step there in windows 7 for making a bootable Windows 8 USB. Just use the all files of Windows 8. And Tap [F10] to save and Exit. Again Reboot your system and see setup has been started. Add your views by your expert comment and suggestion. I would like to thank you for showing as how to make USB bootable for installing operating system. This would be useful to everyone who are about to install OS using USB drive. To learn installation you need to have some computer knowledge, click here to know more about computer courses. Most Welcome Abigail F Shipley for Liking it. Share with your friends too. i am rolling to your site now! You can't actually use the CD command to change to a different drive. If your drive is O for example, type "O:" into CMD and you will change to that drive. Also, in your last screenshot, you're actually showing the help page. Not the command being carried out. To avoid this, the nt60 switch should be preceded by a forward-slash (/), not a back-slash (\).